What Do Our Trusted Road Marking Services Include? This latest post rusn through what what we have offer when it comes to our trusted and reliable road markings service and how it can benefit your setting. Give your car park markings the make over they deserve to stand out and be counted. 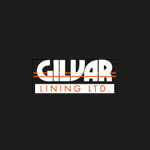 Read on to find out how our services here at Gilvar Lining can help you. A New Year, New Markings? Bring a new lease of life to your road markings, play ground markings and car park markings this new year. Read on to find out how Gilvar Linings can help you. What damage can the winter do to your line markings? This article looks to answer that question as well as a summery of Gilvar Linings other marking services. An article explaining the practical function of ‘playground’ and indoor line marking allowing you to make the most of indoor activities during the winter. Looking for a professional company to create new double yellow road lines? Gilvar Linings are the ideal choice and this post gives you all the info you need. Have you experienced slippery road surfaces? Or has skidding meant you have lost control of your car? This news post discusses the solutions available to make the road surfaces safer.